Westwood Studios co-founder Brett Sperry has joined with three fellow Westwood alumni to create Jet Set Games, but don't hold your breath waiting for a new chapter in the Dune franchise. Based in Las Vegas, Jet Set appears to be embracing a philosophy of a different era: "Just like the Rat Pack, we live by three simple rules," the studio's website says. "Work hard, play hard and never run out of olives for our martinis." But the company lays claim to a different and better approach to game design as well. "We're returning to a time of elegant, refined design," the site says. "Games you just picked up, played, and had a blast. Sinatra didn't need no synthesizer, baby." 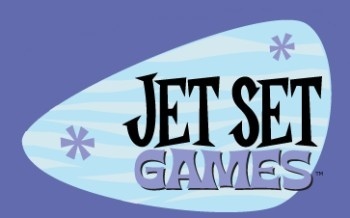 Sperry is joined at Jet Set by Adam Isgreen, Rade Stojsavljevic and Steve Wetherill, all of whom spent time at Westwood before moving in to Electronic Arts and elsewhere. What they'll be doing now that they're back, however, is a mystery. "We're not quite ready to flap our gums about specific projects, but cast your headlights back here soon for the goods," the site says. One thing the studio almost certainly won't be doing, however, is looking back to its glory days as a PC developer. Westwood virtually invented the RTS genre with the 1992 release of Dune II, and then brought it to unprecedented levels of popularity three years later with Command & Conquer, but Jet Set appears to be focusing on more popular platforms these days, like the Wii, PlayStation 3, Xbox 360 and even the iPhone. The destruction of Westwood at the hands of EA was a big loss for me, and for gamers across the country. I loved Dune II, but my real affinity for the company grew out of games like The Crescent Hawk games and the revolutionary Eye of the Beholder series. The studio made an indelible mark on the industry and even though iPhone development isn't exactly the wind beneath my wings, I wish Sperry and the gang nothing but the best for the future.